The Conejo Schools Foundation Board is comprised of volunteers from our community including parents, teachers, PTA & PFA presidents, business & civic leaders and school administrators. Mike Soules is the President of Corwin Press, an educational publishing company dedicated to “Helping Educators Do Their Work Better”. Mike recently held the position of General Manager for Teachscape, a for-profit, private educational Professional Services company. Having also served in senior executive positions at Laureate Online Education and the Channel One Network, Mike has focused his career on marrying innovative technology with practical applications for educators nationwide. He received B.A.’s in History and Political Science from UCLA, is a life member of the UCLA Alumni Association, served on the CVUSD District Advisory Council, member of the Lang Ranch School Site Council, served on the USC Rossier School of Education Board of Councilors, is active at St. Maximillian Kolbe and the Conjeo Valley YMCA Indian Guides and the Ventura County Workforce Investment Board. Mike and his wife, Michelle, have three sons: one graduate of, and two currently in, the CVUSD. Sue Wells has been a volunteer in Conejo Valley schools since 1997. She has been involved in PTA leadership serving as past president of Ladera Elementary School and Conejo Council of PTAs. She currently serves on the 12th District PTA and Conejo Council of PTAs Boards, as well as the District Advisory Council Board and District Budget Committee. She has also been an active parent on the Thousand Oaks High School Soccer Boosters and in the AYSO Soccer Program. 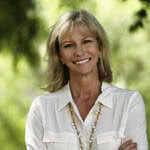 In 2004, Sue became a Realtor currently with Troop Real Estate in Thousand Oaks. Before becoming a Realtor, she owned and operated a wholesale/retail company in Thousand Oaks with clients throughout the state of California. 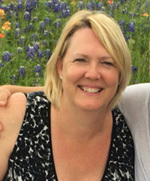 Sue resides in Thousand Oaks with her husband and two sons. Christopher and Matthew, both TOHS graduates. Denise Reader has served the Conejo Valley Unified School District since 2002. As an active PTA member, Denise has served on multiple school site PTA boards, including President of Lang Ranch PTA. Currently the Co-President of WHS PTSA, Denise was president of Conejo Council of PTA’s and a member of the executive board of 12th District PTA. Denise’s volunteerism extends beyond PTA. She has also been school site council chair person for Lang Ranch Elementary and Los Cerritos Middle School, as well as the District Advisory Council (DAC) representative for both schools. She served as vice-chair for DAC, executive vice president for Conejo Council of PTA’s and vice president of membership for 12th District PTA. Her three children,two graduates of Westlake High School and a current WHS students, have also kept her busy participating on booster boards for football, wrestling, band, karate, soccer, National Charity League, and boy scouts. Denise also manages to find time to work at the accounting firm of Jaye, Reader & Rhodes, LLP. 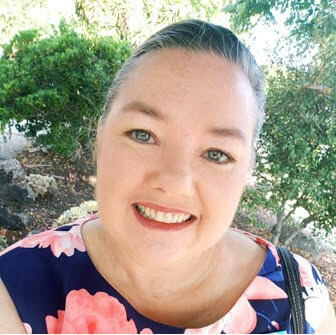 Irene Pugh joined Platinum-Energy, a full service, customer focused wholesale fuel distributor as an independent consultant working on various projects in their accounting department. Her contributions to the company led to a position created for her where she manages certain aspects of accounting, risk management and customer relations, as well as provide support for the company’s C-Store and carwash operations. Prior to joining Platinum-Energy, Irene put her career on hold as she and her husband, Scott, raised their family. During this time, Irene became active in the PTA serving on the Executive Boards of Lang Ranch Elementary School PTA, Westlake High School PTSA, Conejo Council of PTAs, and 12th District PTA. Irene holds the distinction of being a Past President of Conejo Council of PTAs and recipient of the California State PTA Golden Oak Service Award. She has also served on the Booster Boards for WHS Girls Volleyball and WHS Boys Basketball. Irene received her BS in Business Administration from USC Marshall School of Business. She began her career as an auditor at Touche Ross & Co., which through a merger became Deloitte & Touche. Soon after the birth of her daughter, she left public accounting to become Controller of DataMetrics Corporation. When the company announced its relocation to the east coast, it was an easy decision for Irene and her husband to remain in Thousand Oaks to raise their family. She returned to Deloitte & Touche as an Associate with the newly formed consulting division, Resources Connection where she serviced clients in the publishing, mortgage banking, automotive, biotechnology, and restaurant industries. Irene and her husband are longtime residents of the Conejo and have two children: one a graduate of, and one currently in, the CVUSD. Vaishali joined the Conejo Schools Foundation board in 2016 as the Event Coordinator. Her background is in the event planning industry with experience with The Children’s Hospital in Los Angeles, The National Jewish Medical and Research Center in Denver and The Marriott in Santa Ynez where she served as their Event Coordinator and Conference Service Manager respectively. Vaishali put her career on hold as she and her husband decided to raise their two children, both currently in the CVUSD. During this time she became active in the PTA circuit serving in many capacities including the PTA President at Lang Ranch Elementary School, Executive Vice President at Los Cerritos Middle School and on the Executive Board at Westlake High School. Alongside PTA, she has held various positions throughout her kids schools including Student Council Parent Representative, Parent GATE Representative and School Site Council. She has also been active the local Boy Scout Organization as well as serving as a Girl Scout Leader for the past 11 years. 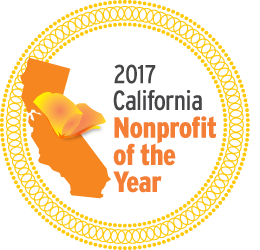 Vaishali is also actively involved in the RaisingHOPE organization as the Vendor Coordinator for their Festival and Run which benefits foster youth in Ventura County. In addition, for the past 16 years she has been volunteering for India Friends Association which helps various groups in the underdeveloped portions of India. Vaishali received her Masters in Business Administration from Cal Poly Pomona and has been a resident of the Conejo Valley for over 18 years. Kristine D. Calara has over 16 years of fundraising experience as an advancement professional at higher education institutions. Currently the Vice President for Advancement at Chaminade College Preparatort, Kristine recently served California Lutheran University over the past ten years. As the associate vice president, she has worked with the vice president to lead and manage the advancement team to accomplish record-breaking fundraising years. Prior to being promoted to her current role, she served as the very first director of development for Cal Lutheran’s Graduate School of Education where she initiated and implemented a successful fund development program for the school, obtained a $1 million grant from the U.S. Department of Education for a new academic program, and worked effectively with three different deans over the span of six years. She spearheaded the Graduate School of Education and the School of Management silver anniversary fund campaign that established two endowed graduate student fellowships. Kristine began her advancement career working in various fundraising capacities ranging from annual giving to major giving over six years at The Scripps Research Institute, a private biomedical research institution with doctoral programs in chemistry and biology in La Jolla, California. Kristine obtained a Master of Arts in Business Administration from Pepperdine University and a Bachelor of Arts in English Literature from UCLA. 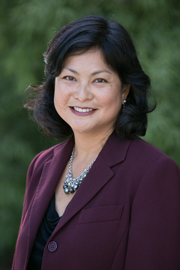 She pursues lifelong learning by participating in professional development programs such as the Greater Conejo Valley Chamber of Commerce’s 2011-2012 Leadership Conejo program, APAHE’s 2014 Leadership Development Program in Higher Education, and CASE’s 2015 Minority Advancement Institute. She continues her passion for education outside of her profession by serving on the board of the Conejo Schools Foundation as well as a volunteer for the National Charity League and her children’s schools. She also enjoys hiking, traveling, planning events and being outdoors. Mark Davis has over 25 years’ experience in the K-12 education space and is currently President/CEO of his consulting firm “The Rev Group”. 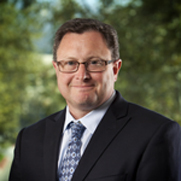 Most recently Mark served as Vice-President for K12 Partnerships at Knowledge Delivery Systems. As VP, K-12 Partnerships at KDS, Mark partnered with districts to develop solutions that tackle their greatest PD challenges. Together they built systems of support for teachers that transformed classroom practice. Prior, Mark was the Executive Director of the Non-Profit organization “Power My Learning” – there he was responsible for establishing new fee-for-service partnerships as well as increasing the organization’s visibility to key funders. 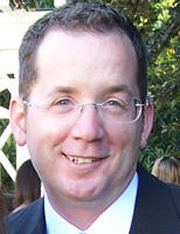 Mark served for more than a decade in leadership roles at Kaplan K-12 Learning Services including General Manager. Mark is married to his wife Nicole and they have 2 young boys that are both attending CVUSD schools. He holds a BA in Political Science and a Dual Concentration (Minor) in Education and Business Administration from UCLA. Dr. Victor P. Hayek is the Assistant Superintendent of Business Services for the Conejo Valley Unified School District. He brings a diverse background in Business, Education, and Law enforcement to the Foundation Board. Dr. Hayek is a member of the CVUSD leadership team, a resident of our community, and a proud parent of three CVUSD students. After earning a bachelor’s degree in marketing, Dianne Badoud McKay joined her father, the late Gary Badoud, in the satellite television industry. They founded Strategic Television in 1986 as a small, high-end consulting company. After successfully turning the company into an internationally recognized team of experts in broadcasting events around the globe, Dianne sold the company in 2004. Dianne has been very involved in local PTA leadership, with school site councils, on the Bond District Advisory Committee, past chair of the District Advisory Council, and on the advisory board of the College of Business at CSU Chico, her alma mater. She is the 2005 recipient of the Gold Award, Outstanding Citizen from the California Teachers Association and the Ed Masry Integrity in Community Service Award, and is serving a four-year term on the Thousand Oaks Traffic and Transportation Commission. Dianne herself is a graduate of the CVUSD. Her four children carry on this tradition: one is a graduate of UC Davis, one is a graduate of UCLA, and two attend Cal Poly SLO. Cheryl is the executive director of Workforce Investment Board of Ventura County. Prior to her work at the county, she was an organization and employee development executive in entertainment, food manufacturing, and managed healthcare businesses. She also held administrative and teaching positions in California public education at the school, district, and county levels. Cheryl served on the Board of Regents of the University of California and in leadership positions for the All-UC Alumni Association and the UC Irvine Foundation. Currently, she is a member of the board of directors for Big Brothers Big Sisters of Ventura County. She received a B.A. in Spanish, an M.S. in Education, and a National Endowment for the Humanities Fellowship in Education. Residents of Thousand Oaks since 1999, Cheryl and her husband, Steve, are the parents of two sons. Both are graduates of Thousand Oaks High school. Paula Nathan is Past President of Conejo Council of PTA’s. She has advocated for education for over 13 years serving as PTA President at the Elementary, Middle School, High School and Council levels. She currently serves as Vice President of Membership for the 12th District PTA which oversees all PTA units in Ventura County. Paula has always had a passion for children, education, and volunteerism. She headed the toying buying department for six years for Better Balance for Long Beach for their One Day Christmas Store. The charity provided gifts for families in need that were nominated by city organizations, free of charge, for every member of their family. Paula has a specific focus on Special Education as her daughter is special needs, and regularly advocates for the rights of the special needs community. Paula and her husband Ron hand chose Thousand Oaks to live in because of the exceptional schools that CVUSD offers. Jon Power, MA is a Licensed Marriage and Family Therapist and has been practicing within Ventura County for the past 12 years. 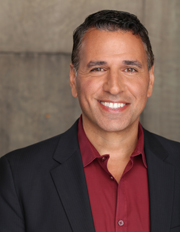 He has worked for a number of agencies in the county and currently has a private practice in Westlake Village. He is completing his PhD in Clinical Psychology where his studies have focused on the development of what he calls “Geek Therapy”, or the clinical application of aspects from popular culture (like film, comic books, television, superheroes, and video games) in the treatment of depression, anxiety, and family relationships. 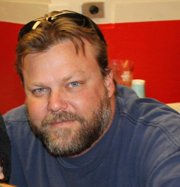 A longtime Conejo resident, Jon is an active member of the Sycamore Canyon School Site Council and PTSA. Jon and his wife, Anette, have two chilren in the CVUSD. The Woodwards moved their children from private school to the Conejo Valley public school system in 2005, seeking the academic, athletic and social opportunities available in the larger, competitive environment of the Conejo Valley schools. 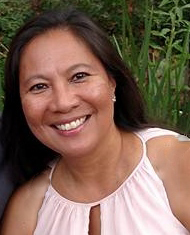 “It is a decision the family has never regretted.” Kathleen offered her experience and energy as Colina Middle School PTSA Treasurer, PTSA President, District Advisory Representative (DAC) and School Site Council Chairperson. In addition, she spent many years in the Westlake Girls Softball (WAGS) league as a manager, coach and board member. Kathleen currently serves as DAC Executive Board Vice Chair, Westlake High School (WHS) DAC, and WHS PTA auditor. Kathleen earned her Bachelor of Science in Finance from the University of Southern California and her Master of Accounting in Taxation, from Pace University, NYC. Past employment includes Senior Manager at Ernst & Young, International Tax Department, New York City. She relocated to Ernst & Young’s LA office to assist in the expansion of the firm’s Southern California International Tax practice. She is currently co-owner of J & K Land Development. 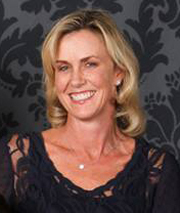 Kathleen and her husband, John, of over twenty years, reside in Westlake Village. Their son Jack is a graduate of Westlake High and SUNY Albany’s Nano-Technology program and daughter Katie, also a graduate of Westlake High, School of Design. Katie graduated from Parsons School of Design. Cindy Goldberg joined the Conejo Schools Foundation in 2007 as Executive Director. After many years as a director of development in the entertainment industry, Cindy focused her talents and energy on the educational realm, managing the Development Department of a private university. There, her public relations and grant writing skills helped build the prestige of the school’s undergraduate liberal arts college and graduate programs. Cindy is a UCLA graduate and an active member of the Thousand Oaks community. 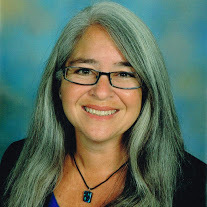 She has served on the School Site Council for her children’s elementary, middle, and high schools, served on the Executive Board of DAC, GATE DAC, and PTA Executive Board. 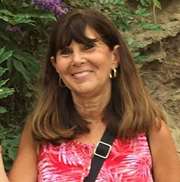 Cindy has been a member of Temple Etz Chaim’s Education Committee for over 10 years. Cindy and her husband are the proud parents of two CVUSD graduates and a current CVUSD student.